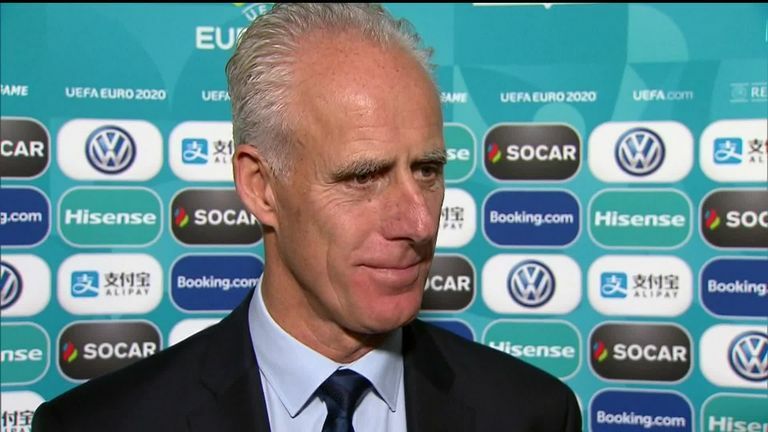 Mick McCarthy admitted he breathed a "sigh of relief" when the Republic of Ireland escaped facing Germany and the Netherlands in the Euro 2020 qualifiers. The Republic were initially drawn in Group C along with the two European heavyweights, but UEFA rules stated that a maximum of two tournament host nations could be drawn in the same group. Dublin, Amsterdam and Munich will all play host to Euro 2020 games, meaning McCarthy's side were moved to Group D in which they will face the likes of Switzerland and Denmark, while their neighbours Northern Ireland filled their original position in Group C.
The newly-appointed Republic boss said it was a let-off, but he is wary of their group opponents. "I wonder if someone will be crying skulduggery," McCarthy said. "I think there was a sigh of relief, and then a cry of despair from Michael O'Neill behind me, who got that group. "I'm not suggesting for one minute that Switzerland are not one of the top teams in Europe at the minute, and Denmark isn't going to be easy, they knocked us out of competitions." McCarthy was announced as the new Republic of Ireland boss last Sunday, taking over from Martin O'Neill and returning to the job which he left in 2002 after taking Ireland to the round of 16 in that year's World Cup. However, he thought the incident was funny, and he would have welcomed the opportunity to take on two former European champions to qualify for Euro 2020. "You just knew we were getting it, and I just laughed about it," he said. "It was a nervous laughter, and I laughed more when it was moved. "It was funny when Nuno [Gomes] picked [the Republic of Ireland name] out, he looked at Robbie [Keane] and he looked at Ronnie [Whelan], and I know what he picked out, I knew it was us in that group with Holland and Germany. And then it all flashed up, we got moved to the next pot. "When we qualified in 2002 we had Holland and Portugal in the group then, I would never say never." McCarthy believes there is plenty of work to be done if they want to overcome tough opposition such as Switzerland and Denmark, who they faced in the Nations League group stage. "I've watched Switzerland in the Nations League and they're a very good side," he said. "Whenever I watched them, they were a really good side. They're one of the top teams in Europe at the moment in terms of form. "Denmark have been a bit of a nemesis for us. None of them are going to be easy. Switzerland and Denmark are the top two teams in our group, and we have got a lot of work to do."